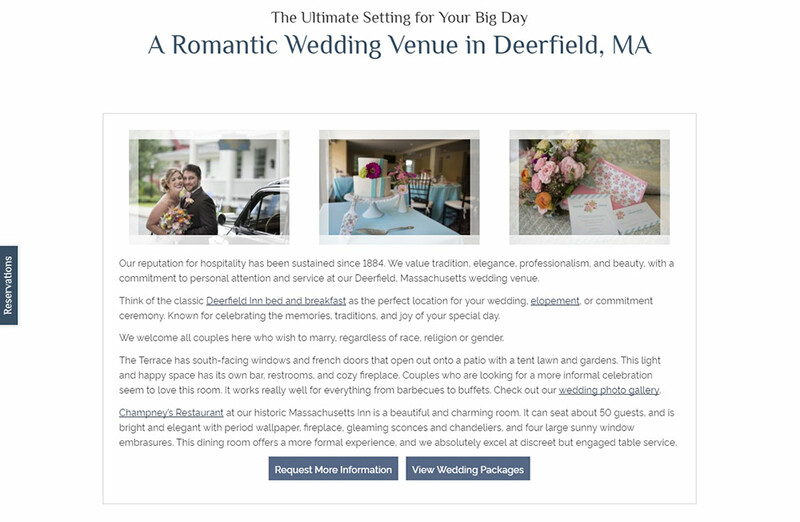 Deerfield Inn has been a long-time client of White Stone Marketing under the management of Karl Sabo and Jane Howard. 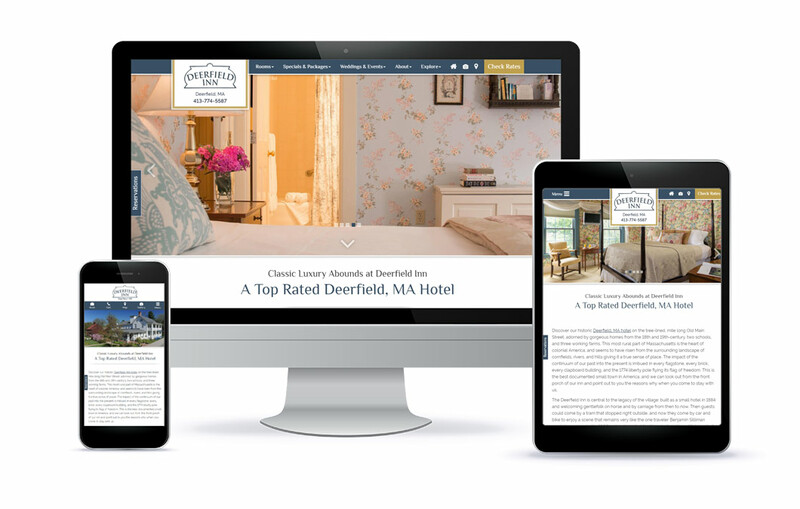 After nearly 30 years of dedicated service to the Deerfield Inn, Jane and Karl retired and passed the torch to the New GM, Steve Pardoe and Laurie Nivison who have been doing an excellent job in the transition of the property to their leadership. 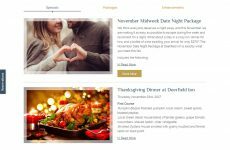 As part of their initiative, they determined it was time to part with the previous, dated website and purchase one of White Stone Marketing’s Premium Template Designs. 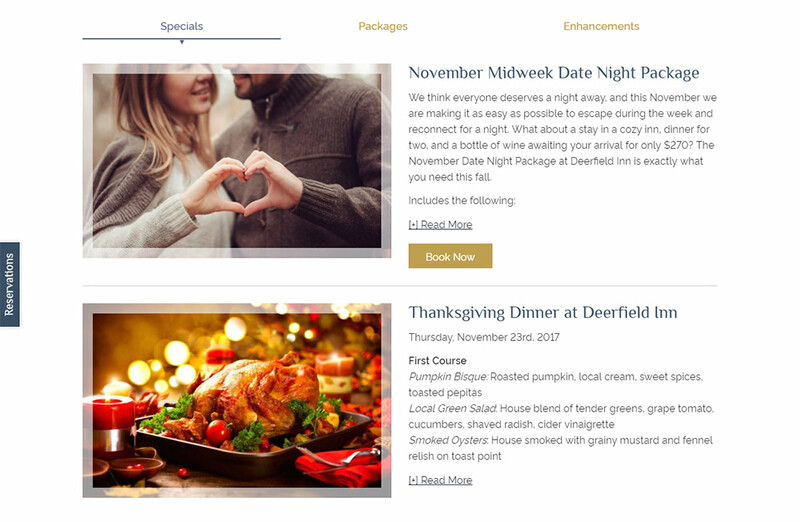 They chose our Keystone template, a very popular one lately, in order to showcase their award-winning restaurant, rooms and wedding venue. 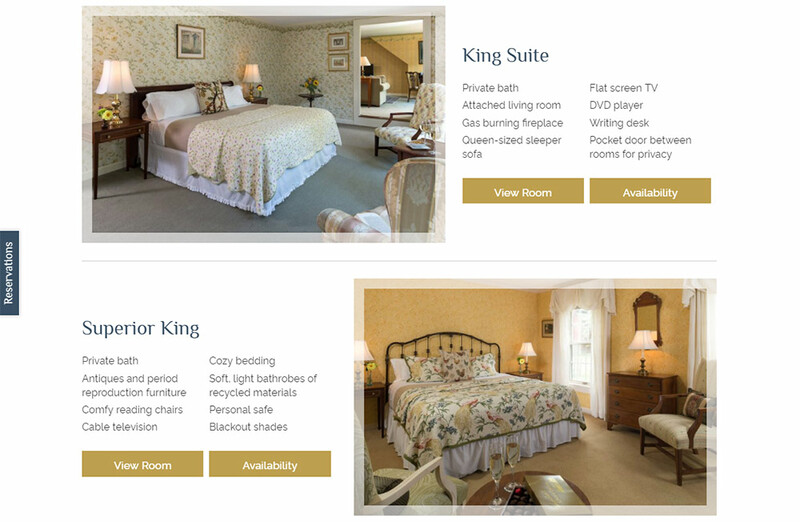 Since we designed their previous site, our challenge this time was to update, renew and refresh. We did that with exceptional design and photography. We were really able to push the limits of this particular design style by adding an extensive Wedding section, Events Section, and Area Guide module to highlight all the various initiatives Deerfield Inn has to offer its customers. 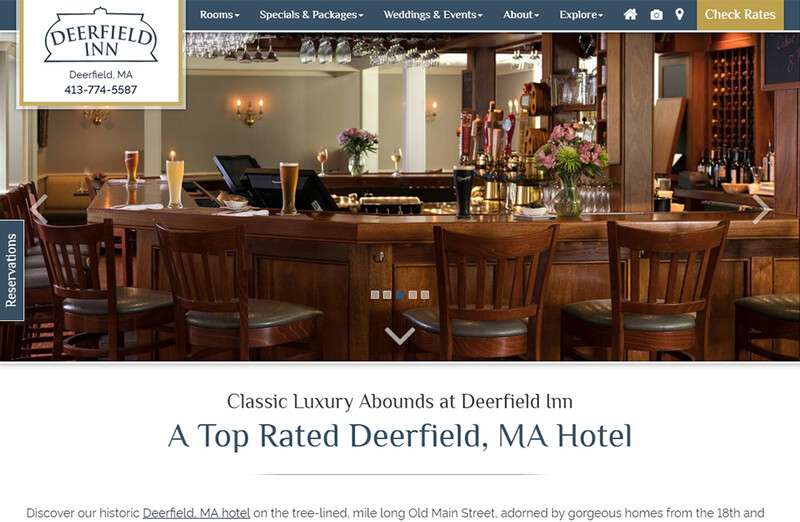 The imagery sells the experience and allows longtime Deerfield Inn guests to see all the latest offerings of this Deerfield, MA Hotel. Thank you for trusting us Steve!